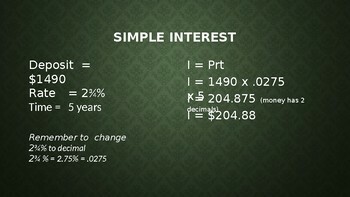 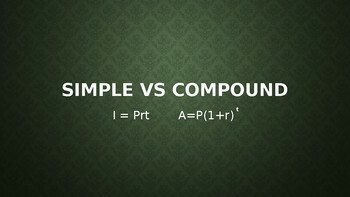 Just a quick power point lesson to cover simple and compound interest. 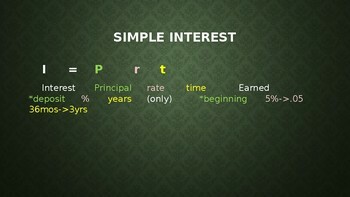 You can change the font colors and add examples. 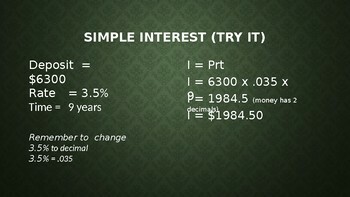 Make any modifications as you see fit.